Hospitals were originally designed to be places of sanctuary , where patients who are sick could be taken care off in a facility which was comprehensive because it brought lots of doctors and specialists and nurses and medical equipment together under one roof . It was much easier for the doctor. to provide care to ill patients in a hospital, as patients did not need to run around and all the medical facilities were available in one facility. Both patients and their family members and doctors felt safe when the patient was admitted to hospital because they knew that the latest medical technology and medical expertise were available to take care of any complications. Sadly , things have changed considerably . Hospitals used to be considered as the last resort , and if the problem could be managed at home , patients would prefer this option. However today it seems that any time a person falls ill, no matter how trivial, the knee jerk response of the doctor is to advise hospitalization. Hospitals are a great place for doctors to be, because they spend most of their time here. It’s much more convenient for them to see lots of patients at one time during their hospital rounds, rather than make home visits. It’s also logistically easier for them to do all the tests and get the second opinions they need. However, hospitals are not good places for patients to be in ! In fact, they can actually be dangerous, because of problems such as hospital acquired infections . Patients need to be aware of the fact that even if the doctor. advises hospitalization , this may not always be in their best interests . cases , there are usually much simpler ( and much less expensive ) alternatives . Sadly, health insurers also contribute to the problem of unnecessary hospitalization, by refusing to reimburse for ambulatory medical care. 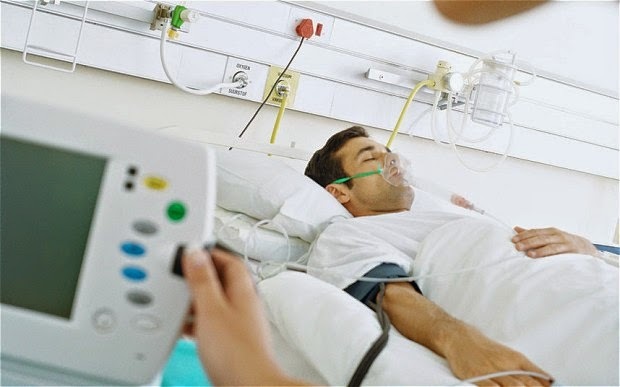 Once you get admitted in a hospital and put on a hospital gown which leaves you half-naked and vulnerable, you to lose a lot of your autonomy . Things can easily spin out of control. Your doctor is never available, and the standard answer for most questions is – This is “ standard hospital policy , and this is the way we do things here. Often one thing leads to another , and patients often fall prey to the domino effect. Thus, even if you are admitted for abdominal pain, if a “ routine “ chest x-ray shows a suspicious shadow , your doctor will ask for a specialist opinion; and will then order additional tests such as a CT or MRI . This means the focus of attention is no longer on the original problem for which the patient got admitted . Incidental findings which are commonly picked up during routine tests ( especially for older people) often have no clinical importance , but once the patient is in a hospital , the doctor. cannot afford to ignore these findings. Doctors operate under certain compulsions , and are so worried about being sued these days, that they will do extensive tests to chase up red herrings. Ironically, the problem is exacerbated for very rich patients, for whom finances are not a limiting factor, and who get overtested and overtreated. Hospitalization can be extremely disruptive , and it's important to discuss and explore what alternative options you have with your doctor. A good doctor will try to keep you out of hospital as far as possible !